Whilst walking along Gower beaches I frequently come across various items that have been washed up by the previous high tide. These are usually the normal shells and bits of drift wood, but recently things got a bit more interesting and I suppose a tad morbid. 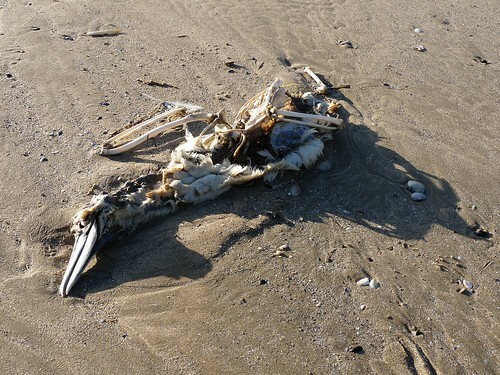 Rhossili Beach offered the first surprise with a couple of dead Gannets. judging by their size I would say that these were youngsters but their cause of death is unclear. I have read that Gannets can break their necks when diving incorrectly so maybe that is what happened to these two individuals. 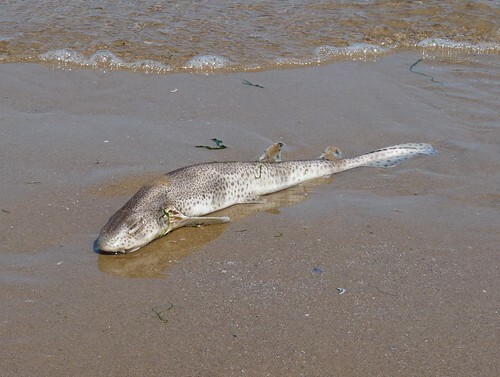 Further around the coast Whiteford Sands played host to several dead Dogfish. There appeared to be no visible damage to any of them, so I presume that these were once again natural occurrences. 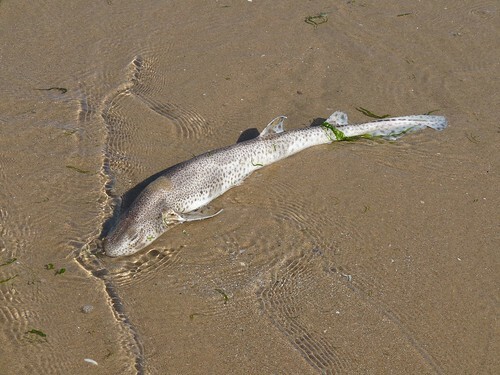 In the past fishing nets have been washed up along this beach with Dogfish found inside. As it is illegal to catch this species in UK waters the suspicion is that they are being caught and simply thrown overboard. I hope this isn't the case but I will keep my eyes out for any further occurrences.